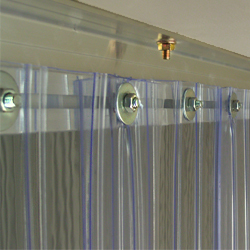 Our Clear Plastic Door Strips are available with a diverse range of widths and thickness of Plastic Strips to suit each application. 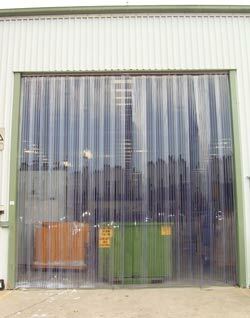 We manufacture Clear Plastic Strip Doors to order, and they are easy to install. 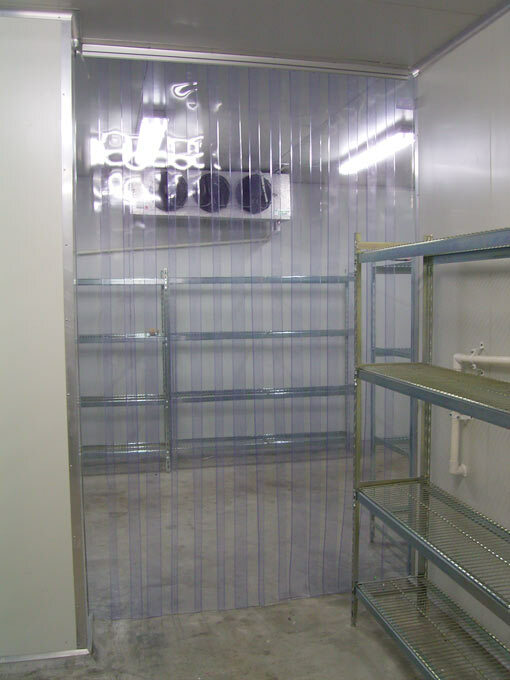 They are supplied complete and ready to install. 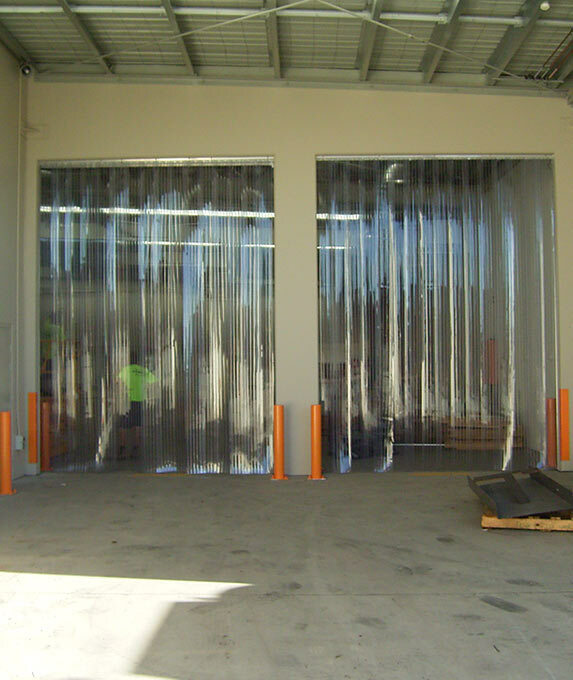 Large Strip Doors are supplied in kit form for delivery and safe installation. 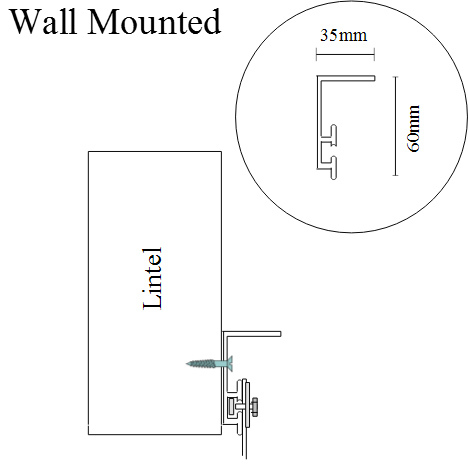 For some applications, Lintel Mounting may be the only solution. 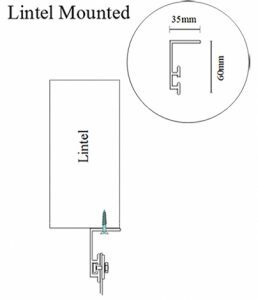 The width is reduced by 5mm to allow the Head Section to fit within the opening and the height is reduced by 10 mm to allow floor clearance. 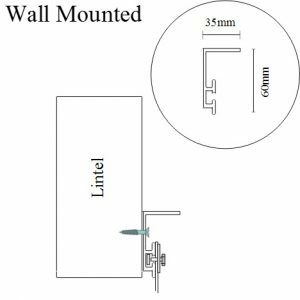 Holes are pre-drilled when the Strip Door is manufactured to suit the mounting solution. 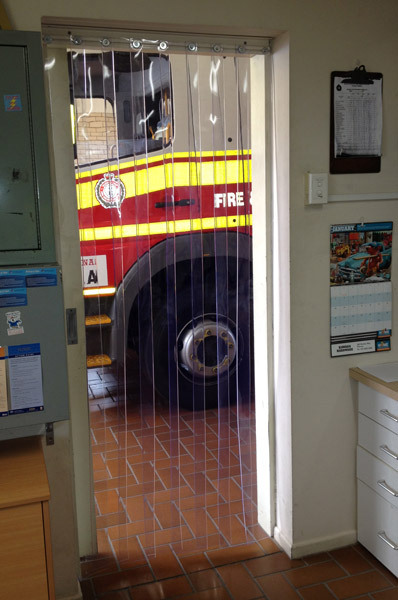 There is a diverse range of applications where Plastic Door Strips are an asset. 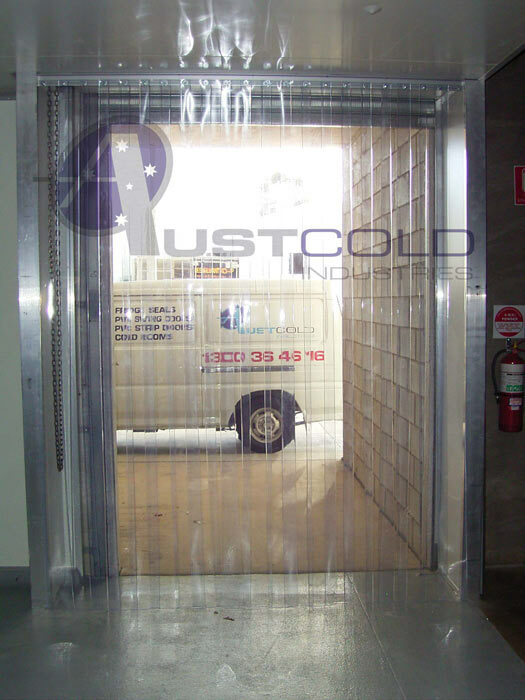 Efficient in applications from pedestrian doors to motorised vehicle doors. 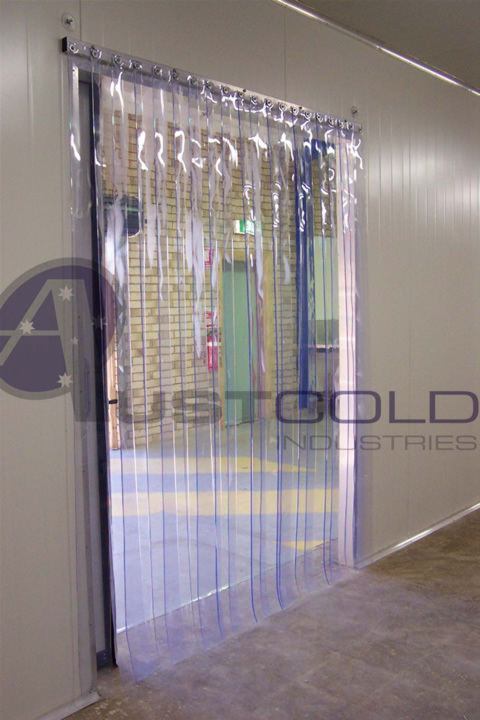 The Plastic Door Strips provide an economical and simple installation solution for isolating, partitioning or sealing any area. 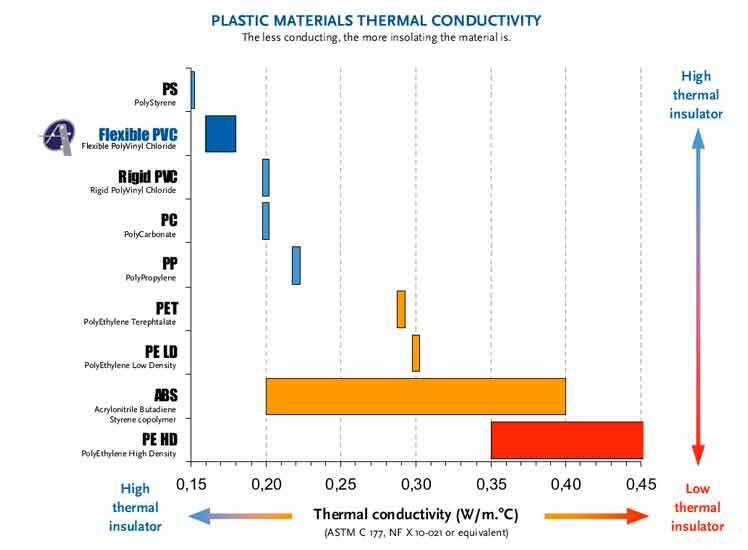 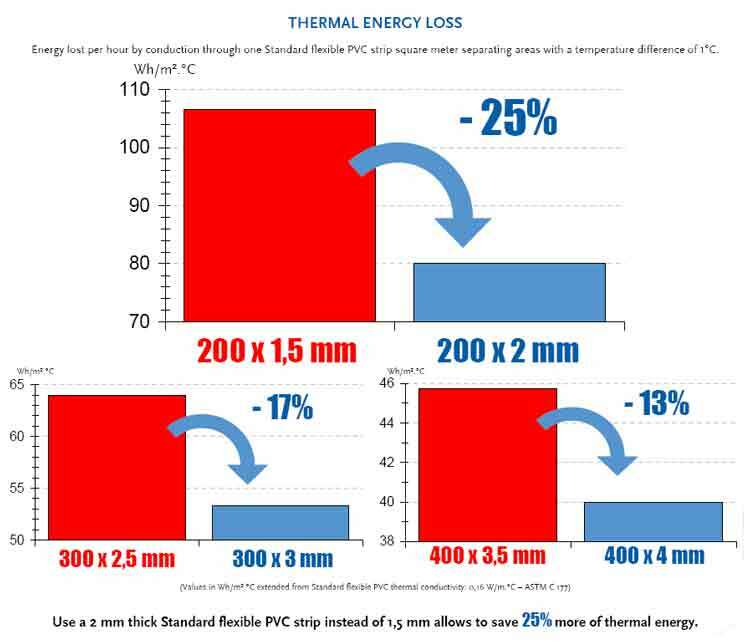 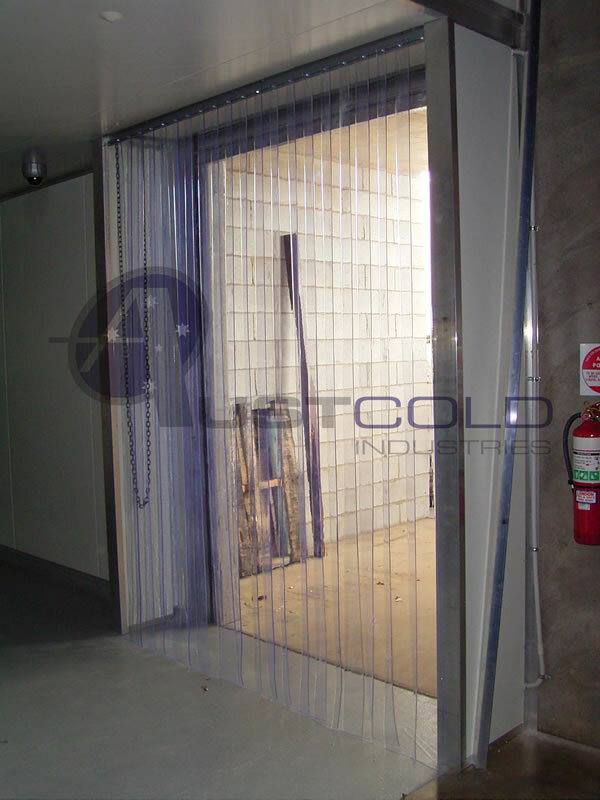 Plastic Strip Doors can reduce electricity consumption significantly in temperature controlled rooms such as Cool Rooms, Freezer Rooms, air conditioned rooms and many more. 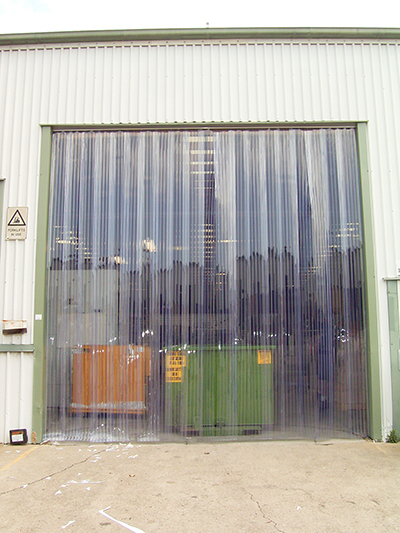 Clear plastic Strip Doors are used for a wide range of applications including; fork lift doors, pallet trolley doors, personnel access doors, bakery door strips, butchers door strips and more. 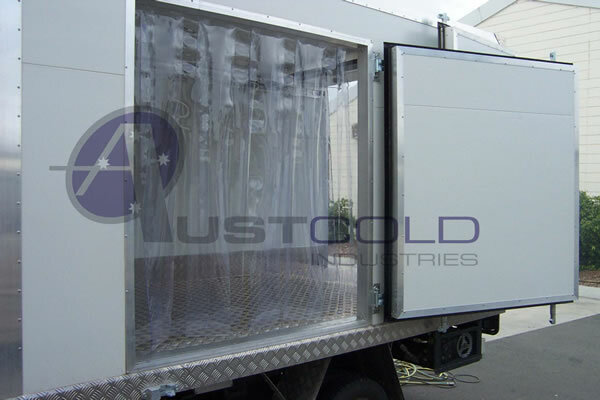 Constructed with an aluminium extrusion (the Head Section) that accommodates a 10mm hex head set screw, the PVC strips are hole-punched and secured with large washers, allowing the plastic strips to be replaced with ease. 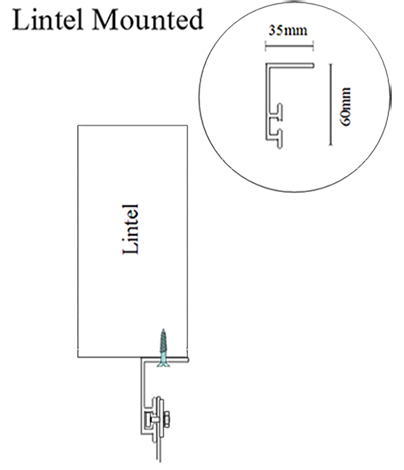 For Heavy Duty PVC Strip Door applications suspended across industrial factory roller doors, we can supply a steel RHS beam with brackets to suspended across the doorway.